I am not simply jumping on the latest hot trend. 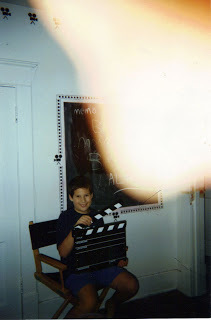 In the 90s I painted a small chalkboard on The Creative One's bedroom wall (notice the film theme and you may also notice I am STILL the skilled photographer I have always been). I later painted that entire wall with the chalkboard paint, and the other walls in his room in alternating colours (purple, sunshine yellow and lime green - the ceiling was royal blue because he wanted his room to look like the Silver City movie theatre complex in our city). I obliged which probably makes me Mother of the Decade! 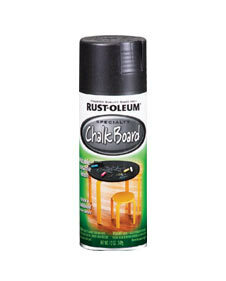 So back to chalkboard paint. 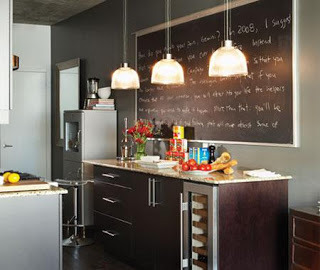 I loved it before and now I want to use it in our condo. I thought I would paint my entire powder room in it - cool right? 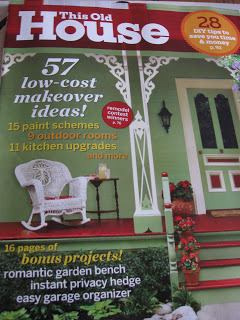 And what about my old ugly kitchen backsplash - I saw the idea to paint the backsplash in the July/Aug 2010 issue This Old House magazine which featured the blog condo-blues.blogspot.com. Super cool! 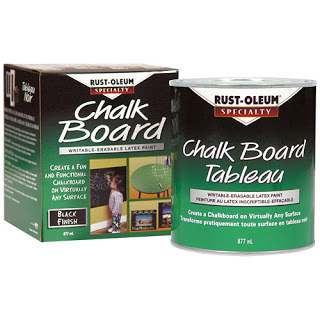 All I need is the damn chalkboard paint! Why am I cussing, you ask? Since I live within walking distance of a paint store (ICI), I went over and asked if they carried the paint. 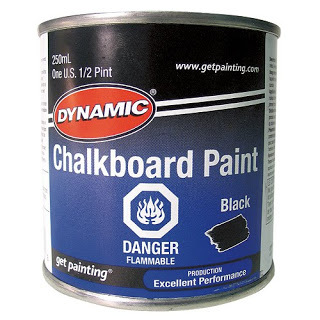 Not only did they NOT carry the paint, the clerk told me all I needed was FLAT BLACK regular latex paint to achieve the same result!!!!!!!!!!! Notice all the exclamation points! Seriously! This is not my first time at the rodeo dude! Can you imagine if someone actually TOOK this advice (why is the question mark not working on my keyboard) All I'm getting is ÃÃÃÃÃ. If I was a DIY newbie and actually did this - I would seriously be ÃÃÃÃÃÃ all over them! Back to the problem at hand. So I took myself down to the local hardware store - McDiarmid's - and no luck either. Ditto for Walmart. So it was time to go down to the big orange box- yes, you heard me - Home Depot (heavenly lights go on) and guess what - THEY didn't have it either! What is the world coming to? This is a trend that is in ALL the magazines, but you CAN'T BUY IT IN WINNIPEG!!! AAARRRGGGHHH! 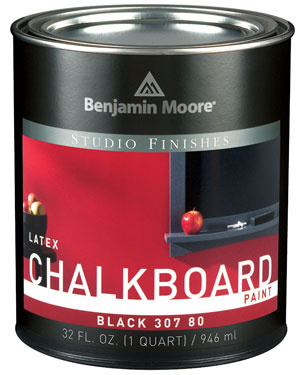 But I still have Rona and Benjamin Moore to try out. I was trying to avoid Benjamin Moore because of the price point, but at this rate, folks, I may have no other choice.